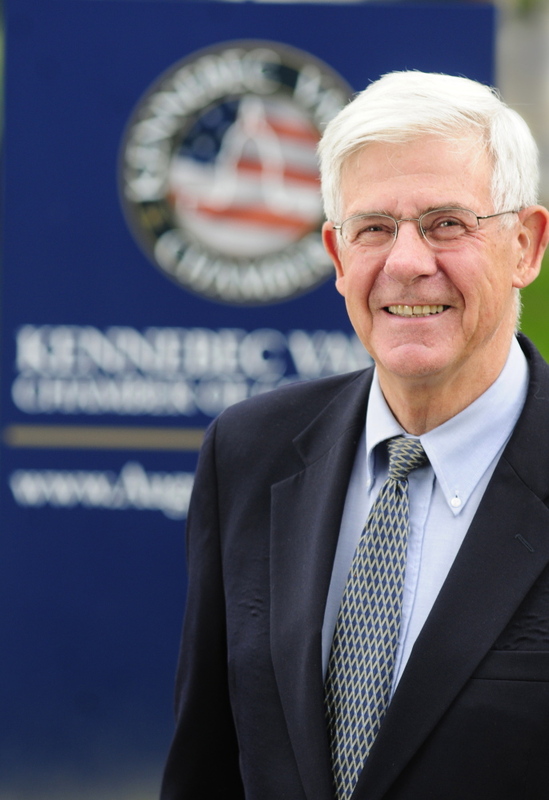 Eight Maine State Chamber of Commerce members, including Peter Thompson, head of the Kennebec Valley chamber, will be honored during the state chamber’s 2014 Annual Dinner on Wednesday, Oct. 15. Staff file photo Peter Thompson, president and chief executive officer of the Kennebec Valley Chamber of Commerce, will be honored with a President’s Award at the state chamber’s annual dinner Oct. 15. 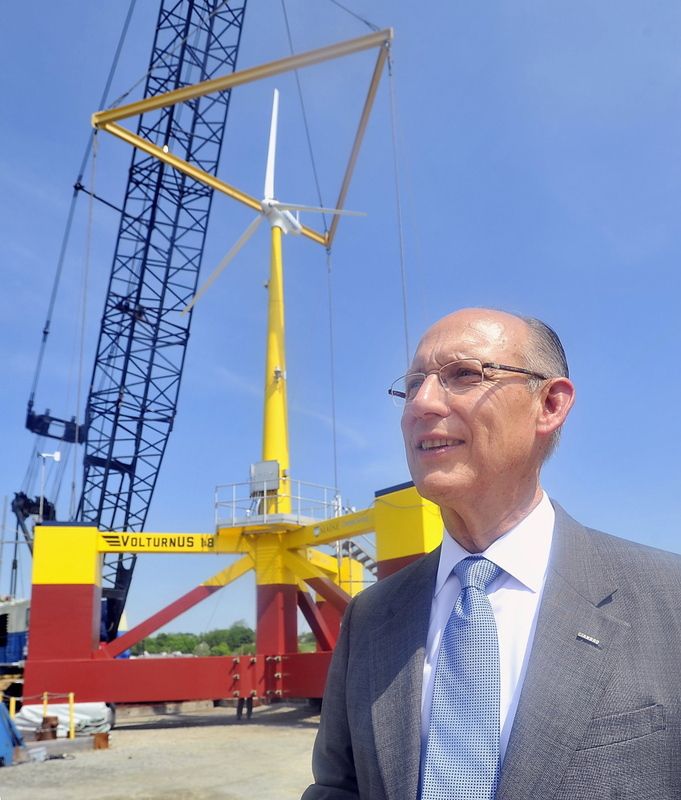 Staff file photo Peter Vigue, CEO of Cianbro, in Pittsfield, will be awarded the Alton “Chuck” Cianchette Business Hall of Fame award by the state Chamber of Commerce at its annual dinner Oct. 15. The dinner, at the Augusta Civic Center, will also feature a forum with the three candidates for governor, incumbent Paul LePage, U.S. Rep. Mike Michaud, D-2nd District, and independent Elliot Cutler. The Alton “Chuck” Cianchette Business Hall of Fame award will be presented to Peter Vigue, chief executive officer of Cianbro, of Pittsfield. The award recognizes the contributions of an individual who demonstrates public service leadership, business success, and most importantly, embodies his spirit through compassion, courage, and commitment, according to a press release from the state chamber. President’s Recognition Awards will be presented to Charles Morrison, president of the Androscoggin County Chamber of Commerce, and Thompson, president and chief executive officer of the Kennebec Valley Chamber of Commerce, for their many years of service to their business communities, according to the release. The President’s Recognition Award is presented to a company or individual who demonstrates involvement in promoting the mission and activities of the Maine State Chamber. Cross Insurance, Eimskip and Molnlycke Health Care will receive Investor Awards, which recognize Maine businesses for outstanding contributions to the growth of their companies and the state’s economy. Christopher A. Fogg of the Bar Harbor Chamber of Commerce will be named the Chamber Executive of the Year. Dale Bouton will receive the Chamber Volunteer of the Year for his work with the Greater Freeport Chamber of Commerce. The event is from 4 to 9 p.m., Wednesday, Oct. 15, and registration information is online at annualmeeting.mainestatechamber.org. Christopher & Banks, recently opened in the Augusta Marketplace, will hold a grand opening Monday. The grand opening from Monday through next Monday, Oct. 13, will feature discounts and a drawing for a $200 shopping spree, according to a press release from the store. Store employees will be on hand to offer personalized style and outfitting consultations, “a unique offering of this women’s speciality retailer,” according to the release. The store, at 197 Civic Center Drive, combines its Christopher & Banks and CJ Banks brands, according to the release, bringing missy, petite and women’s sizes 4–24 into one shopping location. The new retail concept came to life through consumer insights from focus groups, surveys and national research studies indicating women want to shop the same fashion selection in all sizes in one location, the release said. Maine CareerCenters announced in a press release that the Skowhegan CareerCenter will offer a variety of programs for job seekers in October. Programs include workshops on how to tap into the “hidden job market,” how to write a resume, interview skills, essentials of college planning for adults, and more, according to the release. The center, part of the Maine Department of Labor, also offers one-on-one help with job searches and career decision making and training plans. Computers and other resources are available. For information like the Skowhegan CareerCenter on Facebook SkowheganCareercenter. Maine Veterans receive priority of service in all CareerCenter programs. To register for sessions held at the CareerCenter, call 474-4950.